Why is this saying so important for digital marketers to remember? In short, search engines are getting smarter. Platforms like Google and Bing are transitioning away from misguided keywords and focusing on holistic content that matches user intent. Brands can navigate this shift by executing SEO with an audience-first approach. By analyzing the entire user search journey and doing so with empathy, audience-first SEO can boost your brand’s image, customer satisfaction and long-term ROI. Within the next few years, audience-centric SEO will not just be an option – it will be a must for brands that want to compete in the SERPs. We’ve rounded up the best articles from around the web for a crash course in audience-centric SEO. What is audience-centric SEO? How did it come about? Why does it matter? Take a look below for answers to these questions. To get the most out of your SEO efforts, focus your strategy on reaching long-term business goals, such as understanding how a customer interacts with your brand through search, not just how to improve rankings. A user travels through several different search stages before they make a decision to convert. Each phase varies in how the user is searching and what they are searching for. This is critical for marketers to recognize when they are crafting an SEO strategy if they want to connect with potential customers in all phases of their search funnel. In today’s extremely competitive search landscape, setting your brand apart from the rest. Ask yourself: Are we giving the audience what they want? There is a person behind every click and every session. Keeping this personal perspective will allow you to not only understand what the user wants, but will also allow you the ability to anticipate what they’ll want in the future. Approaching content through the lens of a person is integral to differentiating your brand and becoming a trusted source. Steps to begin your path to selfless SEO include targeting keywords with content that you’ll never rank for, but will improve your content’s quality, donating your data to earn high quality links, and initiating discussions that may have nothing to do with your products or services but ultimately help or entertain your customers. This approach applies everywhere, even in local SEO. Let’s face it – smart marketing is personal, perceptive marketing. “Here’s the real question – do keywords even matter in modern SEO?” In short: yes. But they matter significantly less than they used to,” wrote Julia McCoy of Search Engine Journal in her article. When executing SEO, don’t get caught up in keywords and lose sight of the bigger picture. “Where people get confused is by thinking the keywords themselves are more important than user intent,” McCoy writes. This article wraps up with one important point: put your audience first and the search engine second. Needless to say, SEO has come a long way. Machine Learning (ML) and its deep learning practices include self-learned concepts like user intent, language, and connections of topics and keywords. As these smarter algorithms emerge, there is a need to consider more than the old on-site SEO practices. ML is real and it’s here to stay. 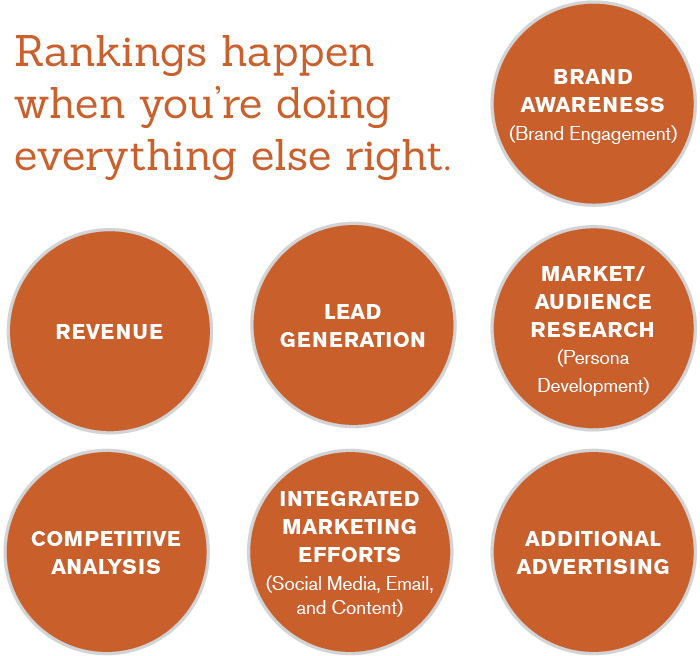 Optimizing for only the traditional ranking inputs leads your brand to fail in reaching its full potential. Approaching SEO with an audience-first mindset and creating high quality content will drive successful searcher outputs. The introduction of RankBrain signals the direction that Google is taking in trying to best serve its primary customer; the user. If Google is taking an audience-centric approach to its search engine, it’s necessary for brands to take an audience-centric approach to SEO. Understanding the human element to search and analyzing the entire path to purchase will inform high-quality content aligned with the user’s needs. When content answers what the user is looking for, brands reap the rewards. More data points, social shares, quicker conversions and increased spend are just a few of those potential benefits. 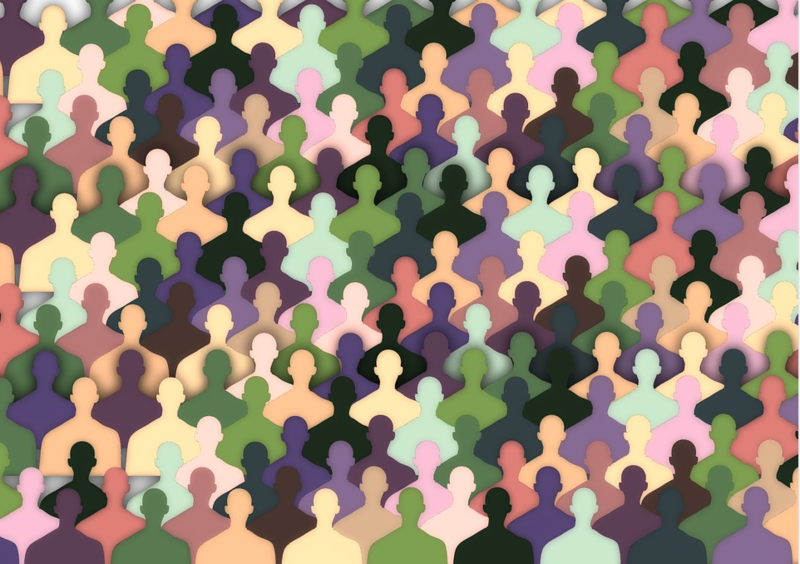 One insight stands out: Focus your efforts on existing audiences rather than gaining new ones. Create meaningful engagement for people who identify with your brand and give the users what they want. It’s really that simple when it comes to creating content in your audience-first SEO strategy. He highlights an important end-goal all brands should strive for: becoming a valuable source of information. Providing the most informative, credible, relevant and engaging content will break through and resonate with your audience, which will increase brand loyalty, trust and ultimately, conversions. If you prioritize your audience over everything else, the rankings, clicks, sessions and conversions will come. But more importantly, the people your business serves will be more than just satisfied – they’ll trust your business over the others, share it with their friends and family, and remember you for the next time. Approaching SEO with a human-centric mindset is a win-win for your business and your audience.